﻿ Juventus 2-1 Sassuolo. Ronaldo finally scores his first goals in Italy! 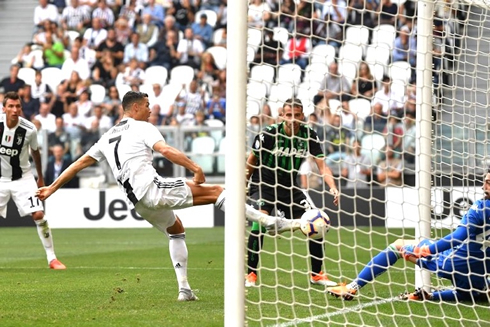 16.09.2018 » Juventus 2-1 Sassuolo. Ronaldo finally scores his first goals in Italy! 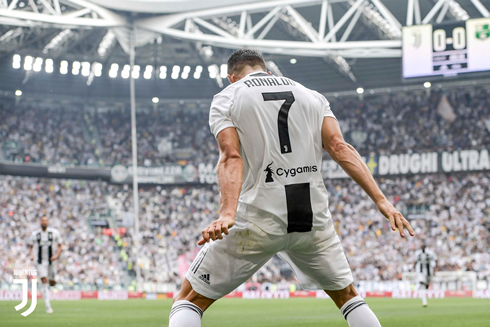 Juventus added another 3 points to their Serie A campaign, but the highlights of the evening go straight to Cristiano Ronaldo, who finally scored his first goals in Italy. The Bianconeri beat Sassuolo 2-1 at the Allianz Stadium. 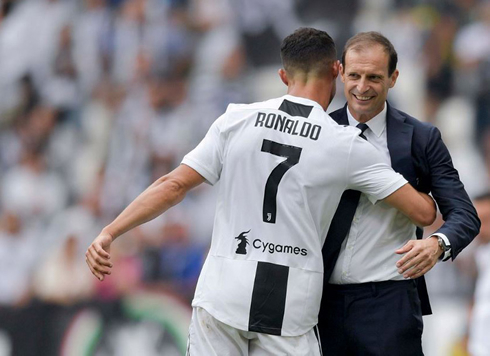 It took Ronaldo 320 minutes to score his first goal in Italy, but now that the Portuguese has finally put that pressure behind him, it's going to be even more interesting to see him playing in the upcoming matches for Juventus. The Vecchia Signora beat Sassuolo 2-1 this Sunday evening, clearly one of the most organized sides in the Serie A that we've seen so far this season. 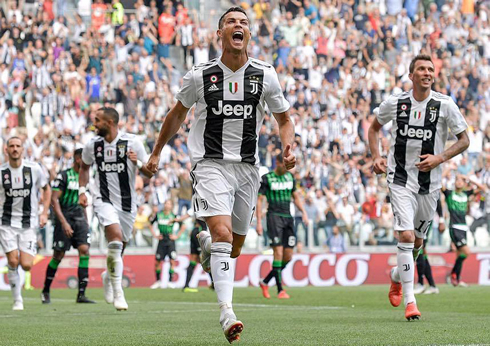 Cristiano Ronaldo broke the deadlock in the 50th minute to the delight of a packed stadium in Turin and then added a second to the scoresheet just 15 minutes later. The Portuguese star didn't hide the relief on his face when he scored his first goal in the Serie A, which is perfectly understandable given the circumstances. We all knew it was coming, I mean if there is one thing to note it's that we should never count out Cristiano Ronaldo. It seems that like our friends from Football Talk had predicted earlier this month, the international break and the extended training was all he needed. It was a simple goal that broke the duck in the end, but as Ronaldo ran off in celebration the fans could see how much it meant to him. He's finally on the scoresheet, (he also added a second for good measure) and now the goals will start flying in I'm sure. It's four wins out of four and no one can complain as Juventus took care of Sassuolo 2-1 today in a match that was marred at the end by Douglas Costa's meltdown. On the pitch, however, Juventus continued their somewhat inconsistent play, but results are what matters in the league and they were able yet again to get the three points. Fantastic results of course, but they are still a team in progress and aren't as sharp as they'd like to be just yet. It's going to take a bit more time before the team can truly begin to move as a unit, especially in midfield. Of course, Ronaldo will grab all the headlines, but he could have certainly grabbed a couple more goals on the day, two chances, in particular, will stand out. The first goal was a simple tap in on the line, but the second was vintage Ronaldo as he broke free allowing Emre Can to play him through and slotted it with his left foot. It was an important psychological barrier for him to cross. And on another note, he would become only the 5th player in European footballing history to score 400 goals in club football, a remarkable achievement from someone who's made a habit out of achieving the impossible. 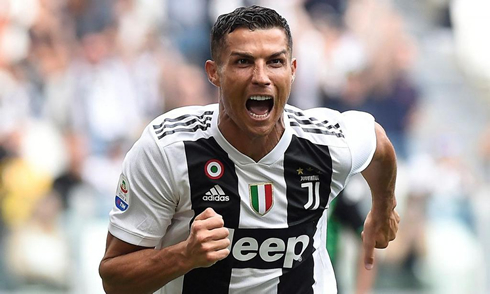 This week Juventus will begin their UEFA Champions League campaign and Ronaldo will be chomping at the bit to get off to a good start. Obviously, Ronaldo will love to return to his favorite competition as he tries to win his 5th Champions League trophy in the last 6 years. Cristiano Ronaldo next game for Juventus is on September 19 of 2018 against Valencia. You can watch Valencia vs Juventus, Real Madrid vs AS Roma, Barcelona vs PSV, Liverpool vs PSG, Southampton vs Brighton Hove Albion, and AS Monaco vs Atletico Madrid, all matches provided from our live streaming and football game pages.